Episcopal Community Foundation of Middle and North Georgia awarded Path To Shine a capacity building grant of $10,306 to provide part-time administrative support and executive fundraising training. These combined efforts will allow their executive director to step away from administrative duties and create a sustainable fundraising strategy for the organization. With demonstrated success, this grant will continue in 2019. The grant signifies that the work we have done has been carried out with integrity, while acknowledging that there is much more to be done. 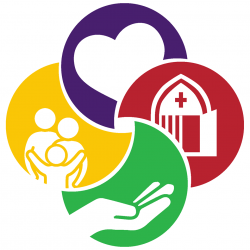 ECF partners with Episcopal communities in the Diocese of Atlanta, to follow the tradition of The Episcopal Church and to love like Jesus. Nuestros Ninos surprised Path To Shine with a major gift in 2014 and have been major benefactors each year since then. Owners Mary and Robin Cahill-Roberts told our Executive Director, "We see us working with a very similar population—Hispanic children living in poverty. We hope this gift allows Path To Shine to continue doing good work, while exploring curriculum that specifically addresses self-esteem in young girls." To this end we are inviting girls who are enrolled in Path To Shine to participate in Girl Scouts, and Girls on the Run. We have also added several stories to our curriculum about inspiring women such as Chief Justice Sonja Sotomayor, Helen Keller, Jane Goodall, and others. Thank you, Mary and Robin, for your generosity, and your gifts as inspiring women! When local businessman and owner of K2 Firm visited us with his teenage daughter, Kiran, to inquire about opportuntities for her to volunteer, we had little idea what a wonderful partnership this would become. Kiran writes, "It is extremely rewarding for me to see the kids reach new milestones in their life based on the things that they learn in this program. Through Path To Shine, I help them gain access to the resources and opportunities necessary to reach their full potential. To know that I am capable of changing someone’s life for the better makes me look forward to coming to Path To Shine each week." And the children love Kiran! Now a major donation from K2 Firm leaves us even more thankful for that serendipitous visit, and motivated anew as we continue to develop leads to help more children. Thanks to Ray Business Advisors for sponsoring our Roswell location! Supporting children from a local elementary school, and working with a neighboring church, this location began as an idea of the owner, John Ray. His personal relationships through another great program, Backpacks of Love, opened doors for us, and enabled us to begin conversations with the partnering organizations. The Betty and Davis Fitzgerald Foundation honored us with a significant gift in 2013. Our very first gift from a Foundation, we were thrilled to not only be recognized for our work, but also that the Foundation's trust in our work was so tangibly demonstrated. The Episcopal Diocese of Atlanta has been a champion of Path To Shine since 2012. From publicity through Connecting and Pathways to financial contributions from the Bishop's fund, to visits by the Bishop to some of our programs, we are deeply thankful for the vocal and visible support.